Due to SHORYU kitchen expansion, we will be closing the Acton trade counter after 27th APR. 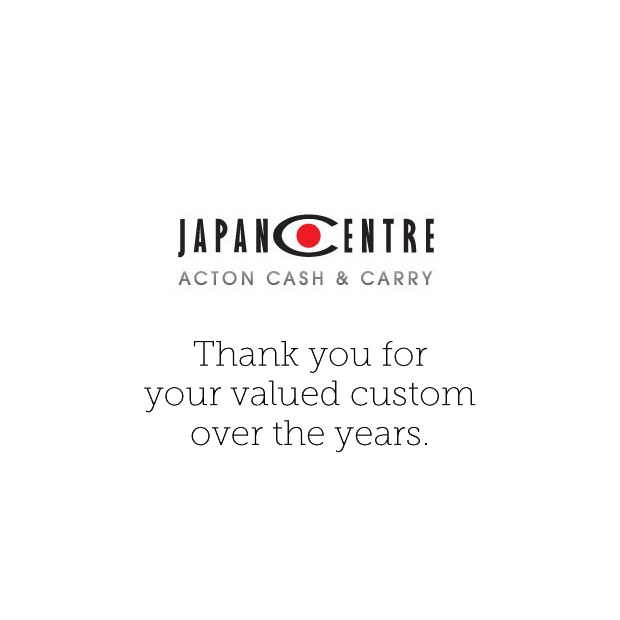 We’d like to take this opportunity to thank all of our customers over the years! You can still use the Acton trade counter as an online collection point and gold members cards can be used for online shopping. Posted in Food, Shoryu. Bookmark the permalink.